Fortune Medical Systems Pvt. Ltd.
- Precise temperature control ensures reproducibility between samples, replicates and runs performed on different days. Applied Biosystems' latest introduction to real-time PCR, the StepOnePlus™ Real-Time PCR System, makes it simple and easy to get high-quality real-time PCR results. This remarkably simple 96 well, 4 color, real-time PCR system is designed with a user-friendly, yet powerful, interface for researchers of all experience levels. It is easy to transport and install Real time PCR machine. 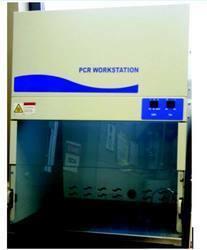 With the astonishing talent of our competent team, we are offering a wide gamut of PCR Work Stations. In order to keep pace with never ending demands of clients, our company offers PCR System. Bio-Rad real-time PCR systems combine a thermal cycler and optical reaction module for singleplex and multiplex detection of fluorophores. The systems feature thermal gradient functionality and automation capabilities. We offer optimum quality of Real Time PCR System which are manufactured under experts’ guidance by using sophisticated techniques & latest machines. We are prominent company offering optimum quality products and are known for their robust construction. 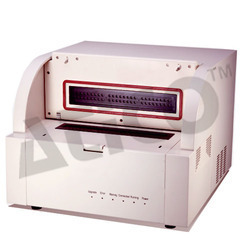 Moreover these Real Time PCR System are offered at market leading rates.